Chinese and American Foods. Chop Suey. Orders to go. Phone FA 6-1333. 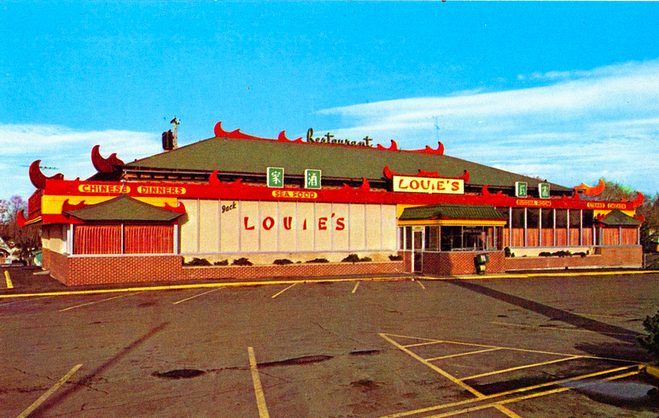 Jack Louie's Restaurant. Special Chinese & American Food. 2819 N. Division, Spokane, WA. The new Louis. 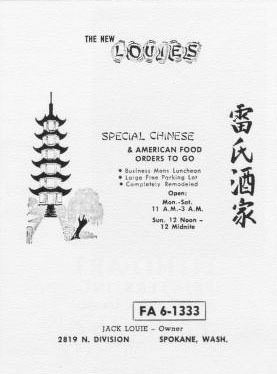 Special Chinese & American food orders to go. Business man's luncheon, large free parking lot, completely remodeled. 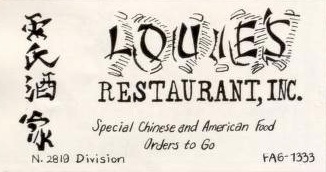 Jack Louie - owner. Special Chinese and American Food. Orders to go.